This 1999 Cruisers Yachts 3375 Express has the perfect cockpit for entertaining and a spacious cabin to accommodate guests in comfort. 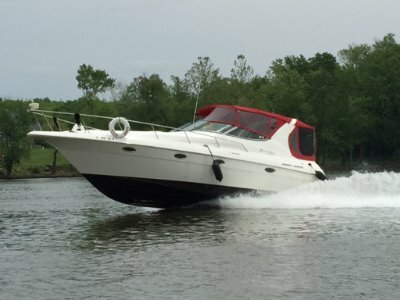 With 7.4L MerCruisers & bow thruster, she has plenty power and is fully loaded. Current owner has spent thousands in upgrades and is only selling because of relocation. Don't let this, ready for the water and weekends, vessel pass you by!